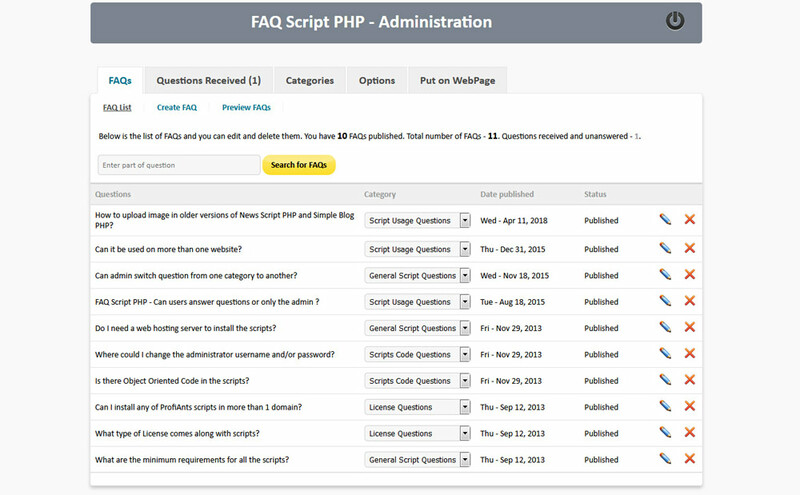 Here you could see how FAQ Script PHP works in demo mode. Feel free to login the admin area and see how to manage frequently asked questions. Note, that this is demo of FAQ Script PHP, but the questions and answers are real. In the time we will try to answer all your questions about the scripts.